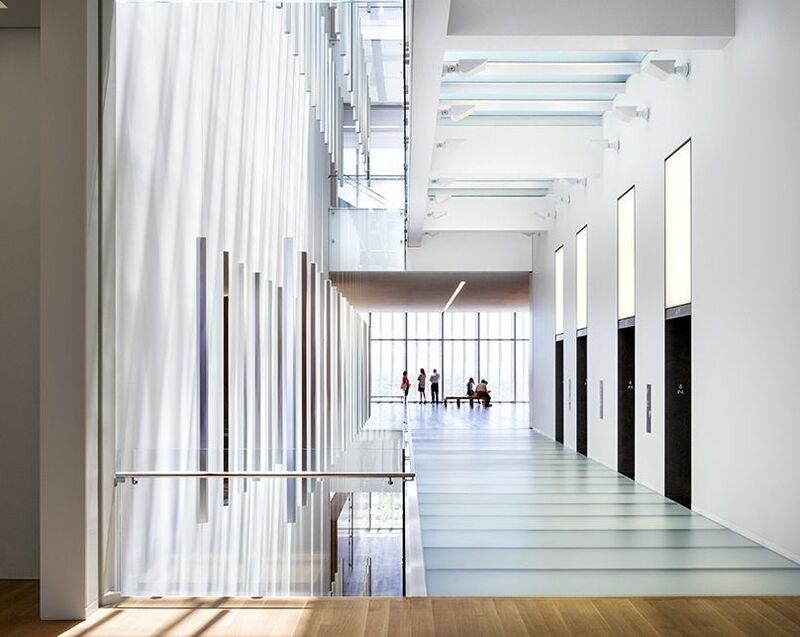 SUSPENDED LIGHT PILLARS - Projects - James Carpenter Design Associates Inc. 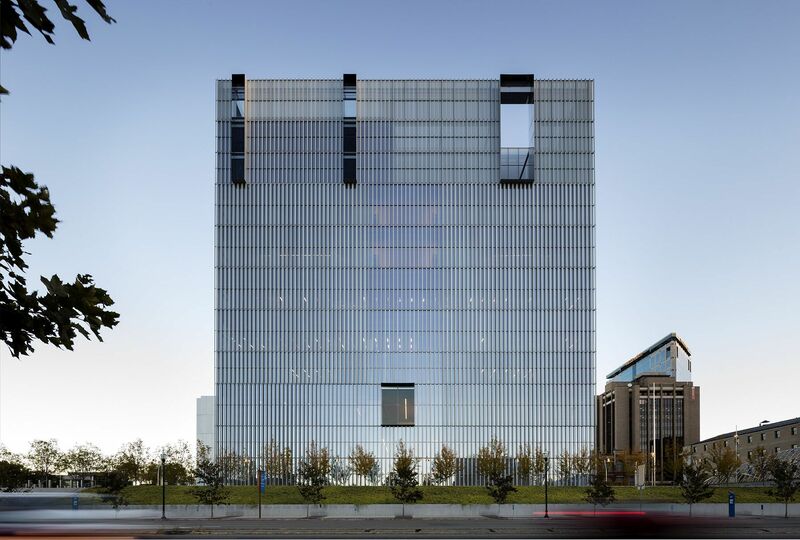 The artwork’s field of faceted reflections defines the buildings vertical circulation experience. 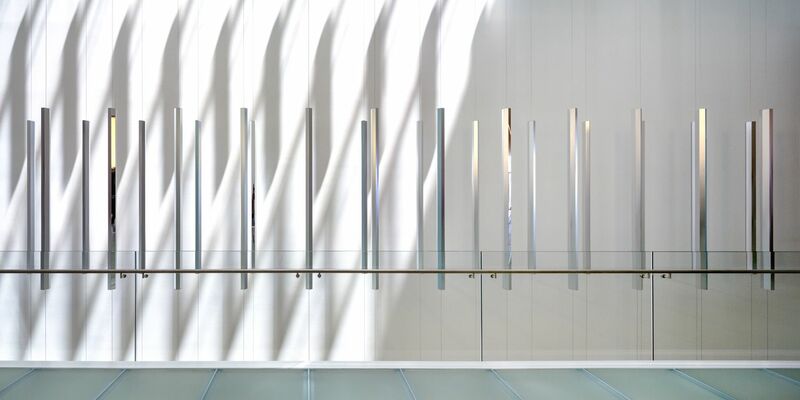 Commissioned by Art in Architecture Program of the U.S. General Services Administration, this sculpture occupies the entire height of sky-lit atrium at the elevator core and consists of optical aluminum, machined aluminum and stainless steel rods. 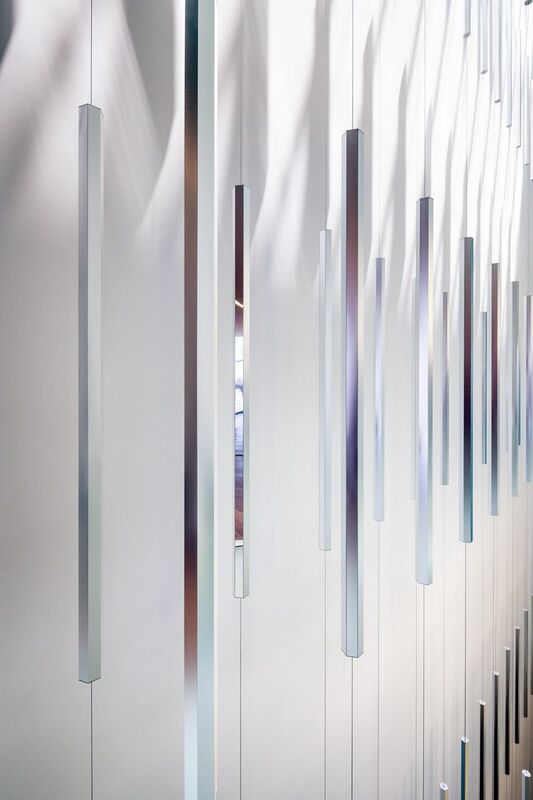 JCDA’s artwork is conceived as a suspended grid of vertically suspended hexagonal “pillars”, designed to suggest and mimic a cloud composed of ice crystals. Such ice clouds are common phenomena in the Salt Lake City area and occur when cold air and water in the upper atmosphere combine to create suspended ice crystals that often take the form of polygonal “pillars”. 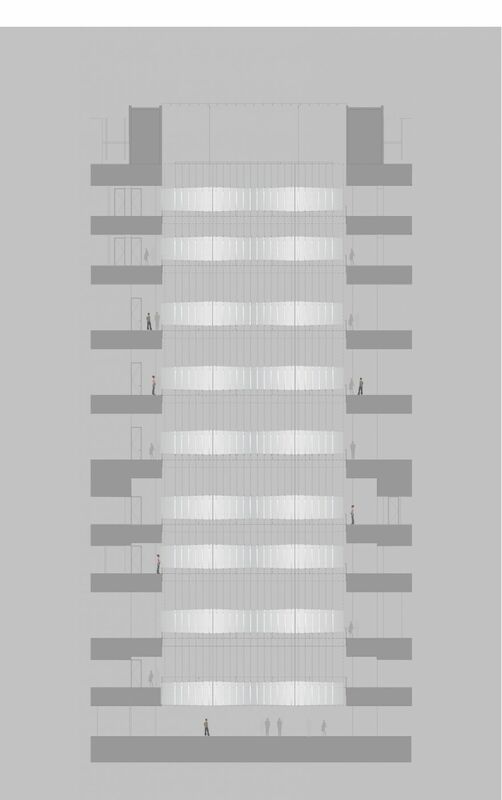 When aligned and then intersected by a beam of sunlight, these hexagons refract the light and create a range of atmospheric light effects such as halos and pillars. 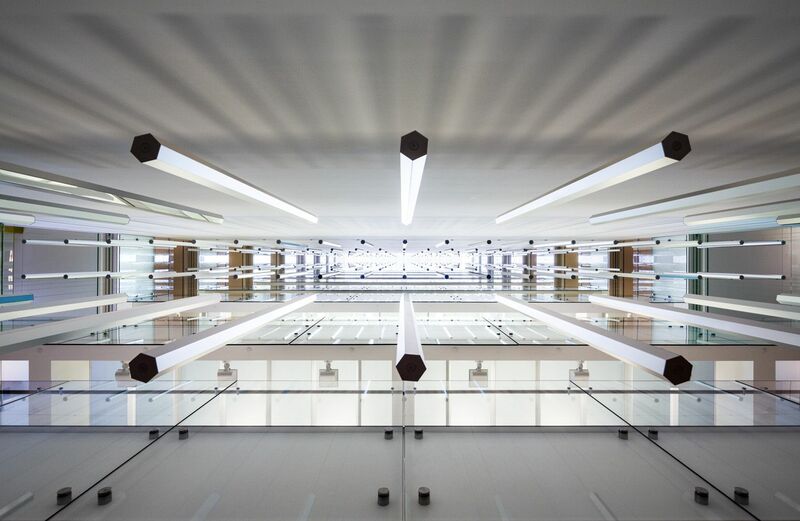 The art work’s 9 stacked fields of hexagonal tubes are, like the cloud borne ice crystals that inspire them, suspended and aligned. 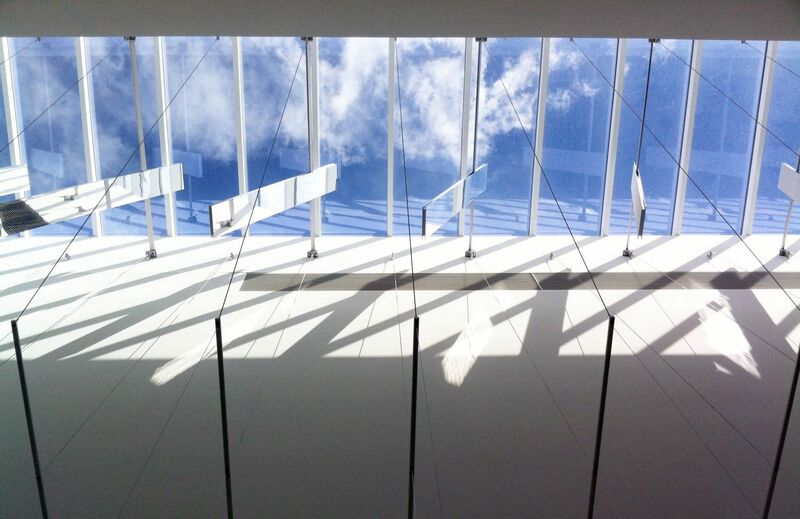 They are also intersected by beams of sunlight, projected into their midst by nine tilted mirrors below the skylight. 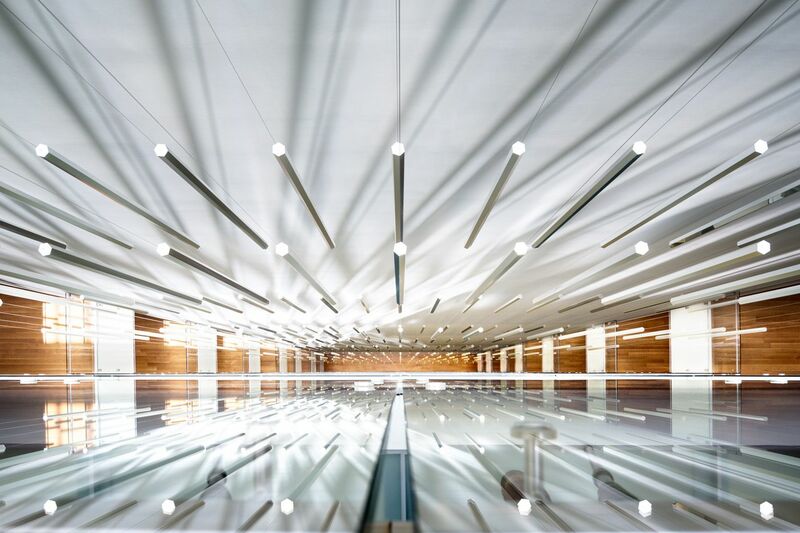 Using reflection to emulate the refraction that occurs in clouds, the Suspended Light Pillars serve to evoke one of Salt Lake City’s signature visual phenomena.